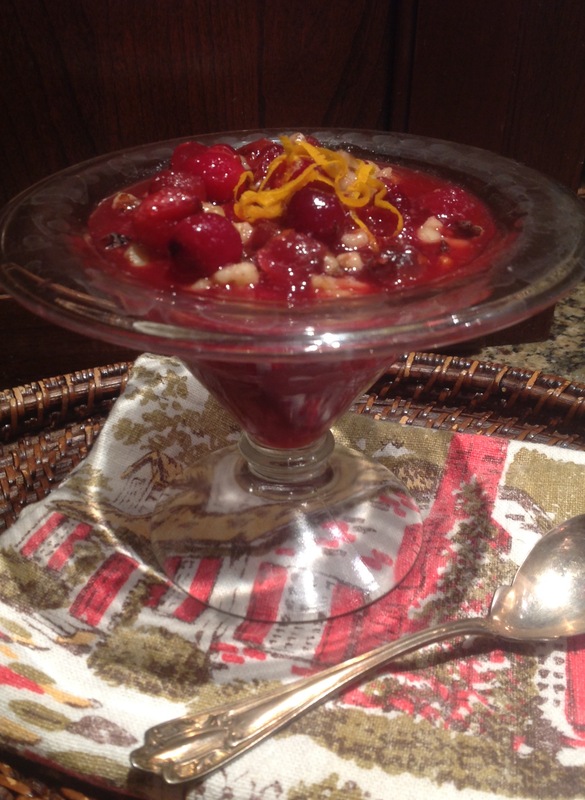 Fresh tart red cranberries are sweetened with pure maple syrup and flavored with orange juice and orange zest in this easy cranberry sauce studded with nuts. The sauce thickens as it cools into a chunky consistency perfect to go alongside your Thanksgiving bird and to spread, of course, on those leftover sandwiches. I especially enjoy leftovers in my morning oatmeal. I really like this recipe because the proportions are 1:1:1:1 making it super simple to double or triple the recipe as we always do. The sauce can be made up to 3 days in advance and kept refrigerated or it can be frozen for up to a month. If freezing, add the walnuts or pecans to the finished sauce after thawing, so the nuts don’t soften. Freshly grated ginger can be added for a bit of spice if you like. In a medium saucepan mix together the cranberries, maple syrup, orange juice and orange zest. Bring to a boil, then simmer until the cranberries burst open, about 5-10 minutes. The sauce will thicken as it cools. Refrigerate once the sauce as completely cooled. Add the nuts after the sauce is cooled. The sauce can be made 3 days in advance and kept refrigerated. Can be frozen, without the nuts, for up to a month. 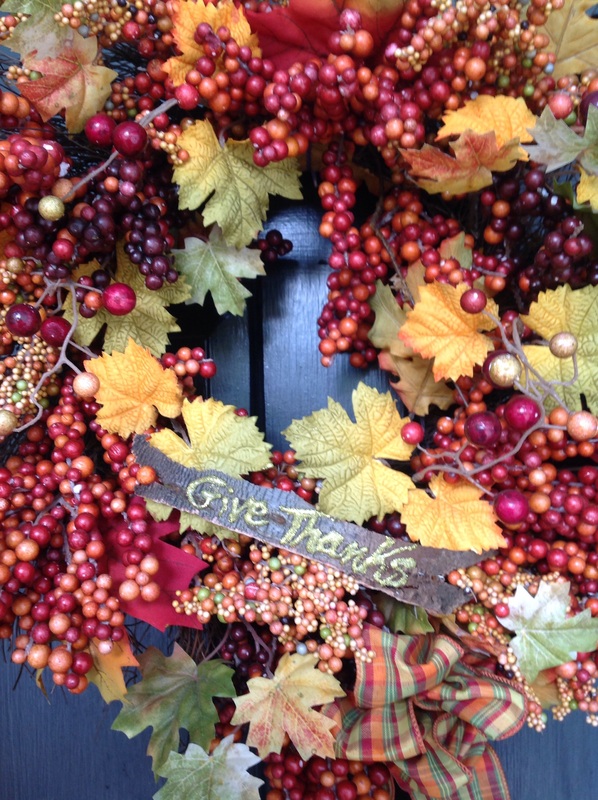 I peeled some bark off a log and wrote a Thanksgiving sentiment on it with a glitter pen then attached it to the front of my fall wreath. This entry was posted in Recipes and tagged cranberry orange sauce, Cranberry sauce, cranberry sauce sweetened with maple syrup, fresh cranberry sauce, make ahead cranberry sauce, maple orange cranberry sauce, the new basics cranberry sauce by Johanne Lamarche. Bookmark the permalink.